There is something so wonderfully multifunctional about having a kitchen island in one’s home. It allows more counter space for prepping or displaying a meal, it can function as a spot to relax with morning coffee or tea and can be a casual spot to sit and have a meal. This kitchen island is made of solid maple, birch plywood and has a custom stainless steel top and foot rest. 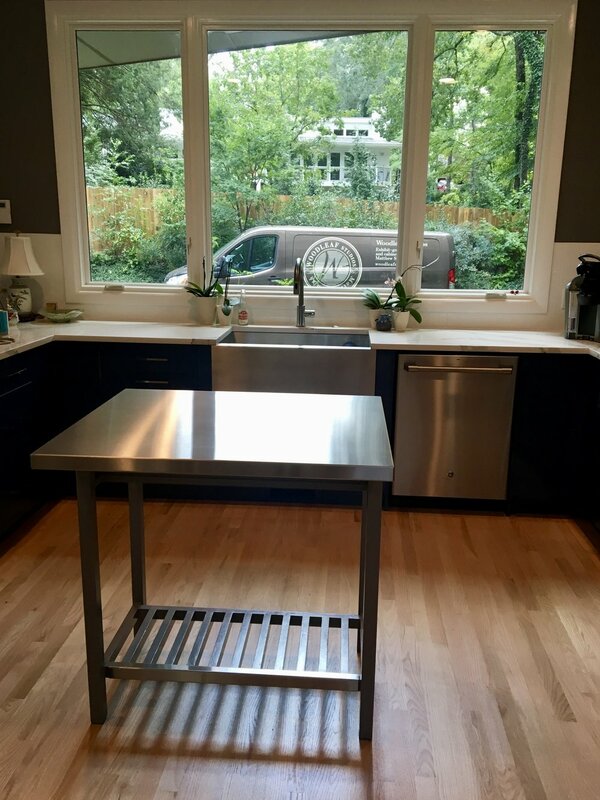 The table is hand painted latex gray to match the client’s kitchen and soon there will be a pair of stools to match the space! We are so happy to see the island in it’s perfect space. Note: The two pictures below are taken at Woodleaf Studios’ showroom before delivery.